For cats who like to get down and dirty in dust. The Fuzz Ball which resembles a dust bunny, will get all the attention from your feline. The soft fibers will tickle their nose and teazzz them like no other bust bunny has in the past. Watch your cat play with the fuzz ball rather than getting into trouble with real dust bunnies. 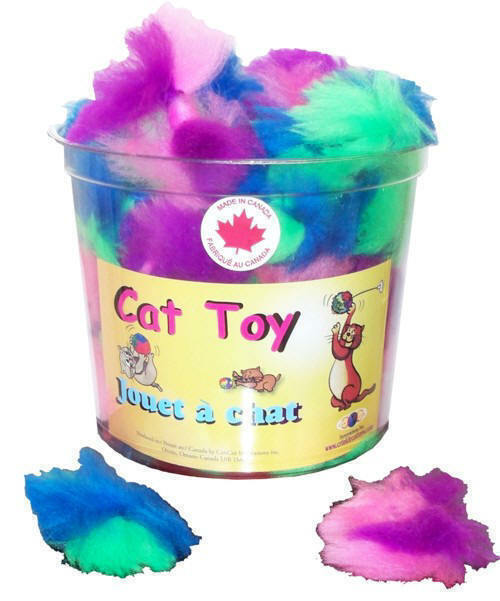 Made with 100% acrylic fibers these colourful cat toys are light weight, and fun for kittens.